Preservation is key to the survival of the Michif language. Thanks to a gathering of speakers last year, Michif will be banked for future generations. The Michif Language Banking Gathering, Li Michif nitooni katawashishin: Michif is a Beautiful Language, was on held June 19 and 20, 2017, at the site of the John Arcand Fiddle Festival. 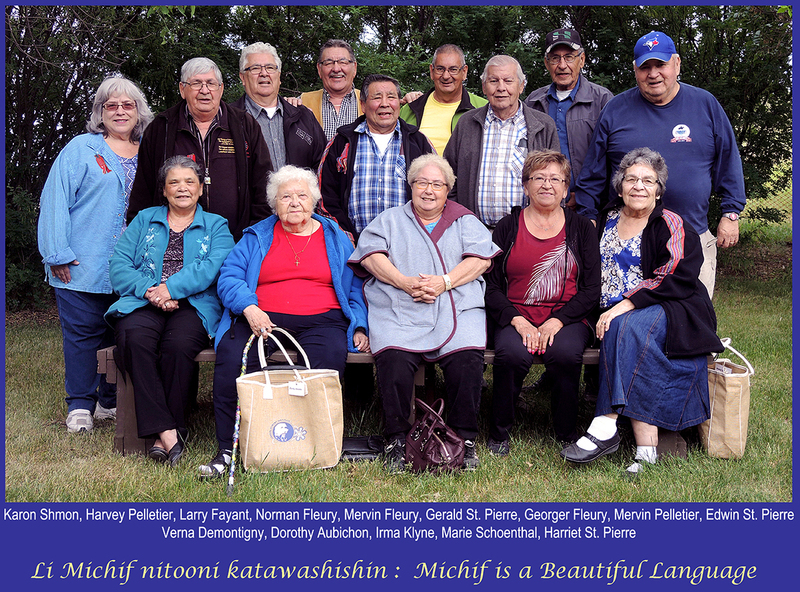 It brought together Michif speakers, who ranged in age from 64 to 85, in a relaxed, informal outdoor setting to have conversations and help preserve, or ‘bank’, the language. This project was part of the Resilience & Respect: Canada 150 & Beyond partnership, supported by Canadian Heritage’s Canada 150 fund. According to Karon Shmon, director of publishing, Gabriel Dumont Institute (GDI), the Michif language is at critical state with only 100 - 500 speakers across Canada, many of whom don’t live close to each other and don’t have the opportunity use and practice the language on a regular basis. “By international standards, Michif is critically endangered,” adds Shmon. One of the goals of the gathering was to record, or ‘bank’, the language so it would be accessible for all. The recordings will be translated into English and transcribed in both Michif and English, a task that will take many months to complete, but will then provide a rich repository of our language for resource development and Michif learning tools. “More importantly, we have preserved our Elders and speakers using our heritage language, a precious gift that will remain forever and be posted on the [GDI]’s virtual museum.” (located at www.metismuseum.ca). GDI also will now have many more hours of Michif from which additional language learning resources can be made. After analyzing the topics GDI has already covered in Michif, the focus for new material became: games and toys; gatherings and celebrations; housing and building; clothing; spirituality and beliefs; and family income. Both days at the gathering were hard work; however, there was also time for fun and socializing in the evenings. Gathering attendees had the pleasure of being entertained both evenings by Métis fiddler John Arcand and musician Jess Lee. The Li Toneur Niimiyitoohk Métis Dance Group also attended an evening social where many of the Elders joined them for jigging and square dancing.